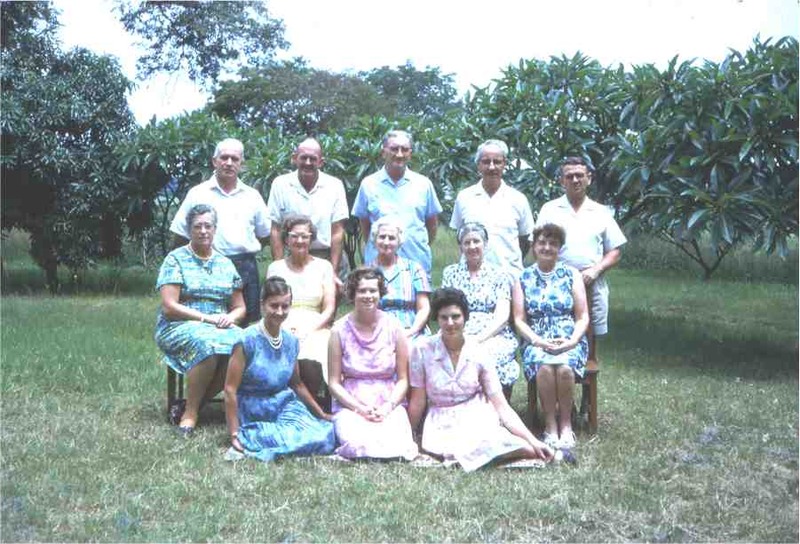 We recently were sent a picture of some of the missionaries that were here in 1967. Back Row from left. David Mawhinney, Bill Maunsell, Theo Deubler, Jim Caldwell, Dr. Jim Worsfold. Middle Row from left. Sadie Mawhinney, Daisy Wareham, Doris Deubler, Norah Caldwell, Hilda Worsfold. Fron Row from left: Beryl Scrimgeour, Marie Conder, Gill Harris.